Tom is a native of Baltimore and is married to Tina. They have two children, Dawn and Thomas Jr. Tom retired from Baltimore County Public schools in May of 2013 after nearly 35 years. He grew up in Mount Washington United Methodist Church, where he was baptized, married, and served in several positions over the years including Sunday School Teacher, President of the United Methodist Men’s club, and Lay speaker. He has a background in operations and holds certificates in Business and Management from The Community College of Baltimore County. 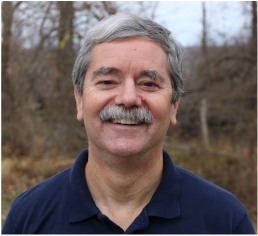 Tom enjoys working outside, exercising, spending time with his family, cruising, and helping out friends in need. Tom loves the Lord and takes pleasure in caring for His church. Tom is rarely in the office, but always working on a project around the property! Brad was born and raised in Baltimore. Growing up singing in a men's and boy’s church choir provided a deep appreciation for liturgy and the traditions of the Church. Having attended a parochial middle school, it was a not until a FOCUS summer camp on Martha’s Vineyard that he first came to understand that Jesus was inviting him into a personal relationship with the living God. After attaining a degree in Psychology from Towson University, Brad spent a few years working with the mentally ill in Baltimore City. For the last 12 years, Brad has been a part of the community at Loyola University, while his wife Tara dedicated those years in caring for their two wonderful children, Luca and Josie. Now that circumstances have changed, Brad is delighted to be able to follow the call to work with teens and young adults, and help them grow in their understanding of the love of Christ. When Brad is not working, you can likely find him hiking, rock climbing, fishing or singing. 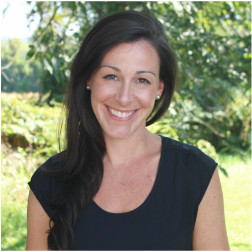 Kate is a Baltimore native, but has spent a number of years working and studying in Boston, Washington DC, and Philadelphia. Her professional experience has been in consulting and in start-up environments, with an emphasis on strategy and finance. She was semi-retired when the opportunity arose to serve the Resurrection family as Finance Manager, and her experiences in the business world translate well to the dynamic situation at Resurrection. Spiritually, she grew up in the Episcopal Church and wandered, as Episcopalians are prone to do, but has been firmly In His grip ever since the second Sunday in Epiphany in 2012, when she first came to Resurrection. ​Kate is in the office on Wednesday. Patrick was born and raised in Baltimore County, MD. He is a graduate of Loyola University in Baltimore with a degree in History. He and his wife Michele have been married since 1989, and have two children Caitie and Liam. While born into the Episcopal Church, he had a long spiritual journey that led him to accept the Lordship of Christ in his life. This happened just before he was called into leadership in the church plant that grew to become Church of the Resurrection. He has served in various leadership and staff roles at Resurrection and the Anglican Diocese of the Mid-Atlantic since 2005. Patrick has worked for and is now on the board of directors of the Titus Institute for Church Planting. As a certified coach for church planters and leaders, he has worked with various planters and leaders throughout North America with emphasis in the Baltimore Area. Patrick has a passion for developing and mentoring leaders in the Church. David was raised in New Canaan, CT, graduated from Northwestern University in Evanston, IL, and worked in student ministry for 11 years in Baltimore, Washington, D.C., and Boston. He received his M.Div. from Trinity School for Ministry near Pittsburgh, PA. Ordained in 2005, David served as Rector of Holy Trinity Church, Raleigh, NC from 2005-2010. He was called to Church of the Resurrection in the spring of 2010. David also serves as co-leader of the Anglican Leadership Initiative, a movement seeking to connect and coach bishops, pastors and lay Anglican leaders in North America (www.anglicanleadershipinitiative.com). Besides his passion for proclaiming the gospel, David plays basketball, tennis, and enjoys sailing, snow and water skiing. An avid reader of American history, he is an ardent fan of Northwestern football. He and his wife, Kristin, a Baltimore native, have four amazing daughters: Keating, Gracen, Annie and Storie. Stephen joined Church of the Resurrection as our Music Director in August 2011. He began his formal musical training with The Maryland State Boychoir (MSB) at the age of nine. His strong ties and commitment to the MSB continue today where he is now serving in his twelfth year as Artistic Director, overseeing the boychoir's six ensembles. 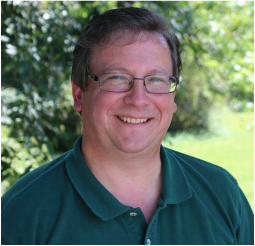 Stephen also serves in various leadership roles throughout the Maryland and D.C. area, and serves on the board of directors for the Canticle Singers of Baltimore, the MSB, and The Choral Music Educator's Association of Maryland. He received his Bachelor of Music degree in Voice and Organ Performance from Towson University, and his Masters degree in Choral Conducting from University of Maryland, College Park. Stephen, his wife Tiffany, and their daughter Imogen live in Baltimore's Mayfield community in the city. ​Stephen is in the office on Wednesday and Thursday. Kari began attending Church of the Resurrection in September 2011, and after a transformative experience on Resurrection's Israel trip in February 2013, was baptized shortly thereafter. 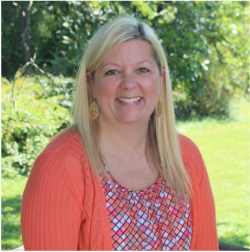 She joined the staff at Resurrection part-time in December 2013, and transitioned into full-time ministry in April of the following year. Kari is a proud native of Baltimore City and currently lives in the Reservoir Hill neighborhood. She graduated with a B.A. in English Literature from Lynchburg College in Lynchburg, VA in May 2011. Kari enjoys emojis, cheering on the Baltimore Orioles and Ravens, spending time with friends, attending Shakespeare performances, binge-watching TV shows, meal planning, and assembling Ikea furniture. She and her husband Brandon were married in May 2017. David was born and raised in Burlington, Ontario Canada. He graduated from the University of Ottawa in 2005 and began a career working in and around Canadian politics. Having drifted away from the Lord during and after his time in University, David returned to the church in his late twenties and immediately became active in ministry. 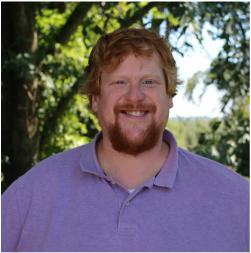 Throughout his time in lay and ordained ministry, David has served as a ministry intern, led men’s and young adult ministries, and Bible studies. Having received his M.Div. from Trinity School for Ministry, David has a passion for seeing people grow in faith and loves to preach and teach about Jesus. He is married to Christine and has two children: Dunstan and Miriam. David enjoys reading, spending time with his family usually playing board and card games, and all things Notre Dame. David is in the office on Tuesday – Friday. Christel is typically in the office Monday - Friday, 9am - 2:30pm. Claire, a Baltimore native, has loved working with children all her life. After graduating from Towson University, and then living as a missionary to underprivileged children in Peru for several years, she moved back to Baltimore to get married and work as a Baltimore City elementary teacher. After the birth of her son, her desire to be at home more with him led her to leave teaching and come on staff, part-time, with Resurrection to coordinate the Children’s Ministries. Claire, her husband Shannon, and their sons Caiden and Parker currently reside in the Parish House on the church’s property. Claire is in the office one day each week. Pam’s mission statement is to connect people to Christ and to one another. 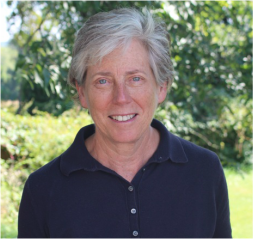 Along with a team of lay pastors, and under the direction of the Rector, she is responsible for all aspects of ensuring the day to day pastoral care of the congregation. Pam is passionate about building an intergenerational church family and is eager to connect people with ministries and fellowship groups that will encourage them to know Christ and make Him known from first time visit through full involvement and participation in Christian community. So, be warned, she may be in touch with you! Pam grew up in Harford County, MD, where she came to know Christ at an early age. She was married for 13 years to John, a Baltimore native, who died of brain cancer in 2006. She has four young adult children. 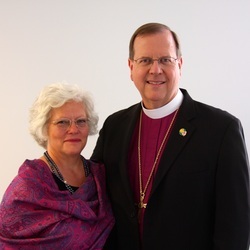 Bishop Guernsey lives in Woodbridge, Va. with his wife, Meg Phillips Guernsey. They have two married children and three spectacular grandchildren. * A Bishop is the spiritual "overseer" or elder of a group of churches.